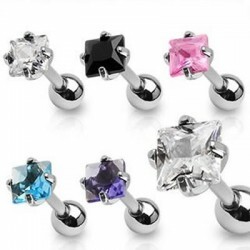 We produce and Wholesale high quality Cartilage & Tragus Body Jewelry with massive selection at unbeatable prices. The tragus is the small flap of cartilage in front of your ear. 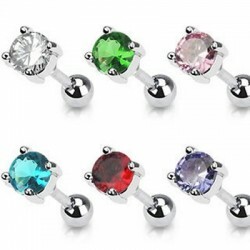 Most of our tragus body jewelry can also be worn as a Labret / Monroe piercing jewelry. Styles can be differentiated from Surgical Steel Body Jewelry, Acrylic UV Body Jewelry, G23 Titanium Body Jewelry and flexible BIO.